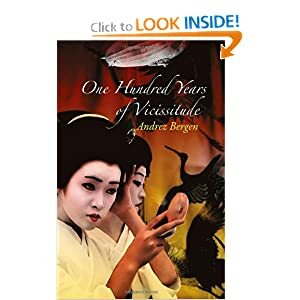 Yep, now confirmed – my second novel One Hundred Years of Vicissitude (http://www.amazon.com/100-Years-Vicissitude-Andrez-Bergen/dp/1780995970) has just been published and is available as a paperback through new imprint Perfect Edge Books. The novel is now available via Amazon USA – only $14 @ the moment (a $4 discount) in case anyone is… er… vaguely curious. Some of the action also takes place in Melbourne as this is 5% a sequel/prequel to Tobacco-Stained Mountain Goat. elysium wrote: Nice work Andrez!!!!!! !